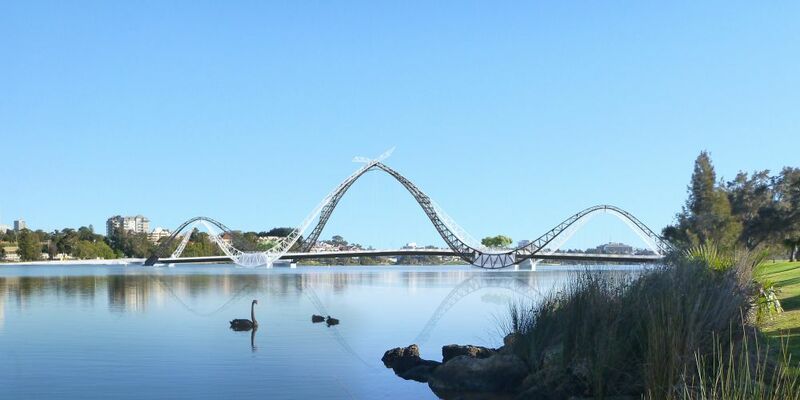 An artist's impression of the new Matagarup Bridge. TRANSPORT Minister Rita Saffioti has advised Swan River users that during periods of April and May, the navigation channel between Burswood and East Perth will be closed to all vessels. Department of Transport and Main Roads have advised the closure is required to enable a safe area of the construction of Matagarup Bridge to service the new Optus Stadium. Ms Saffioti has asked the Department of Transport to work with local industry to see what can be done to provide alternative access to the public, which may include the new jetty in place at the Optus Stadium precinct. “The Swan River Pedestrian Bridge Alliance has also been working with commercial river users to manage and minimise the implications of the closure on their operations,” she said. The channel closures will be implemented from 300 metres south to 300 metres north of the footbridge piers. The closures are anticipated to be in place for up to eight weeks, with the confirmed start date and duration of closures, dependent on the weather, to be confirmed. “Within the closure period, we will provide some intermittent periods of opening using spotter boats for commercial operators, but regret this will not be possible for recreational river users,” Saffioti said. River users will be assisted with signage, navigational buoys and spotter boats to be put in place to prevent any vessels from entering the restricted area, with the closure applying to all on-water craft such as pleasure crafts, small boats, kayaks and canoes. “We don’t like to have to make these closures and inconvenience river users, but this is an essential part of the bridge construction,” Ms Saffioti said. Closure updates will be available from Main Roads website and Department of Transport’s Marine Safety notification services.